Call for Textile Art Entries | Eastwood Patchwork Quilters Inc. Calling all textile artists! 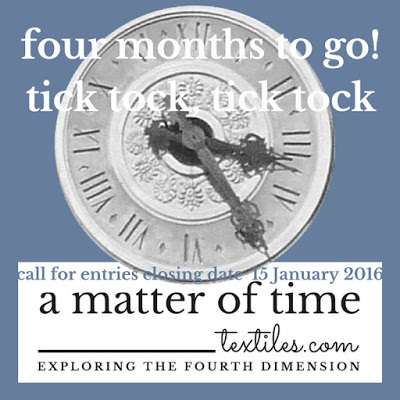 – explore the fourth dimension in cloth and submit your work for the next travelling textile art exhibition curated by Brenda Gael Smith – a matter of time. Closing date: 15 January 2016.